"Thanks for the great excursion, it was a privilege to see the countryside and meet people from the village. We loved the lodge!" Souia & Ben, Singapore. 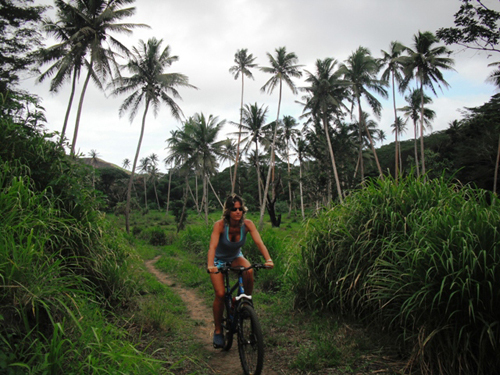 From the Lodge we offer the Islands best Mountain Biking Tours. Beginner easy rides to full day pumps, we can suite your needs! This is a breezy 3 hour slow paced ride starting out at Savusavu town. The ride is along a scenic dirt road through villages and plantations. 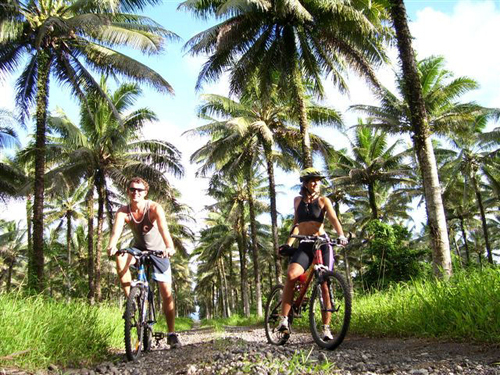 It’s a picture postcard of coconut palms and wild exotic flowers as you cycle along a river. Learn about Fijian Medicine and watch the locals make copra.